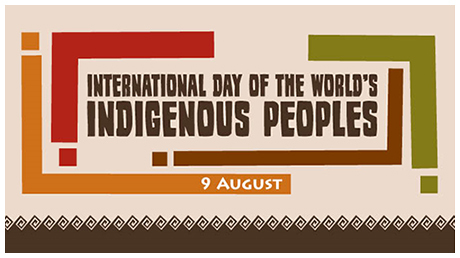 August 9, 2015 is the International Day of the World’s Indigenous People!! This day is a day to recognize and appreciate all indigenous cultures. The United Nations is also holding a variety of events around the globe! This year’s theme emphasizes the issues of indigenous people’s access to health care services. 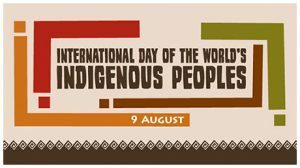 The U.N. will be hosting an observance event for the International Day of the World’s Indigenous People on Monday, August 10 in the ECOSOC Chamber from 3-6 PM. The event will also be webcast live at webtv.un.org. To register for this event please send an email to Mr. Nicolas Magnien at magnien@un.org and Mr. Arturo Requesens at requesens@un.org indicating full name and organization affiliation. You will receive an email confirming your registration. The deadline to register to attend the International Day of the World’s Indigenous Peoples is Tuesday, August 4. To learn more about International Indigenous Day, click here.